Today I am completing one week in the soil of Singapore! I am exhilarated to learn that only yesterday as it were, that is on the 12th June in 1893 Swami Vivekananda stepped into this great city! 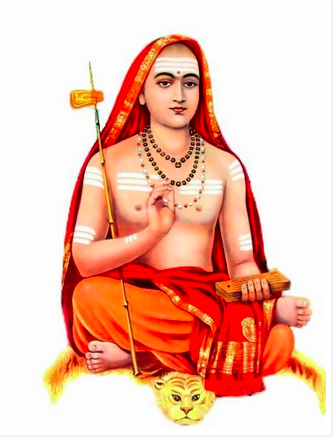 As Acharya Shankara says, “kaalah kreedati” Time sports in his famous Bhaja govindam– I find five months have gone by so swiftly after I left South Africa! The move from South Africa to Singapore was not on rosy petals! It had its own share of hiccups. My last post was on 20th November 2014. Most of the readers of this blog knew that I was on the move on a pilgrimage tour of Ramakrishna centres in Europe. I left the shores of South Africa on the 30th December 2014 and landed in Belur Math on 14th February 2015. The six-week sojourn before stepping back to India and again an eight-week post-arrival travels in South India were extremely hectic and I had no time to “sit and stare” at the computer! It was heartening to see that many devotees, in the meantime started enquiring about my resumption of posts. I just wondered from where to start! From the ‘bidai’ of SA or from the ‘shuruAt’ of Singapore where I landed on the 6th June 2015. One devotee’s suggestion came in handy. He said that I should give some space for my travels so far. My travels were in the nature of pilgrimage and hence the wonderful feelings that I experienced in all those places and in all those I saw would be worth recounting. Be as it may, now let me begin from Durban where I was given “Durga, Durga” ! I learnt to say “Durga, Durga!” after joining the Order by watching senior monks used to pronounce these two mystical words at the time of anyone’s departure. Later I found in Bengal this is customary. It appealed to me to say the name of the Divine Mother who protects every jiva than merely saying “bye, bye!” that lacks the spiritual import. Hence I taught the devotees in South Africa whichever branch I went, including children who fearlessly would say, at the time of my departure in loud voice “Durga, Durga!” . Previous Post: Is Lord a Magnet or Metal ? Next Post: Can Farewell be joyful ? It’s such a heart-warming feeling to be reading Maharaj‘s post again; a dose of spirituality we have missed. We hope that Maharaj is well-rested and enjoying Singapore. 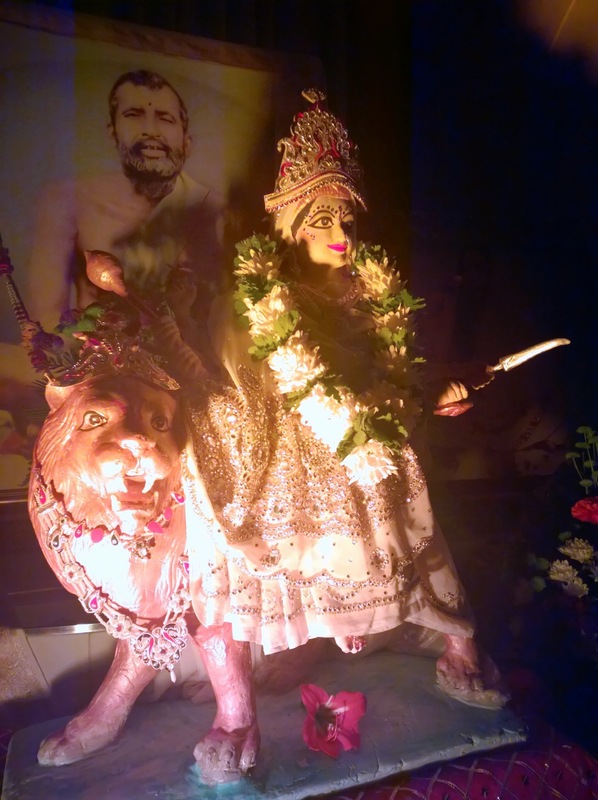 Please know the devotees in SA miss Maharaj tremendously. Thanks for your kind words! Sorry for the delay in sending a response! Generally I take delight in writing my response to every comment. For a few months this action was dislocated due to my “wanderings”. Hope to reply to everyone now! Yes, after a three-month hectic pilgrimage, I reached here in Singapore on the 6th of June 2015. Yes, well rested and again hectic schedule has begun! Perhaps that is the type of life that we have. Taking whatever whether we travel or rest the name of Bhagawan Sri Ramakrishna must reverberate in our hearts. My love to Jay and Mishta! May Sri Ramakrishna’s blessings be with you! Yes, We here in South Africa are still in your holy company through contact with you through whatsapp and other means of communication. It’s for sure that wherever you go, the environment is supercharged. From the day you left the shores of South Africa everyone who knew you still speak about the company they had with you. Revered Maharaj it’s Your smile and the perfect Sadhu that you are is always remembered. We pray to the Holy Trio that some day our Loving Maharaj will come back to us. Droupathi also sent loving pranam. Thanks for your nice words! I think the devotees in South Africa are wonderful. Their traits, demeanour etc have made them so devotional that they easily able to appreciate the good qualities in the monks! Hence I would say that the devotees there in SA are to be given credit. Convey my best wishes to Droupathy, Nisha and children! The mystic had gone underground from the day he called Durga Durga at Durban and now He has surfaced ashore at the beach of Singapore playing tunes to the lionmaid of that island…! Appa! what a relief now after so many months!! We were all looking up to the sky for these heavenly showers from the mystic who has a knack of entering the hearts of dear of the Lord. Your poetic description of my reaching the shores of Singapore simply is mesmerising! Yes, I do appreciate your interest in this blog! Hope to continue my eSatsang from here. The words Durga Durga! are generally used in Bengali tradition for safe and happy journey. Yes, these are the wonderful words uttered at the time of departure. You also said to me the same when I took leave at Tupudana. I am overjoyed over the resumption of your divine blog. The e-satsangh through your blog gives unalloyed bliss and enables one to centre one’s thoughts effortlessly around Sri Ramakrishna, Sri Ma, Swamiji & their children. I am eagerly looking forward to drink deep in your varied experiences felt during your recent pilgrimages in India & abroad. Please take care of your precious health. Many thanks for your enthusiastic response at the resumption of the e-satsang! You are an avid reader. Please try to help me when I do need some reference on any spiritual subject. My prostrations at the Feet of the Holy Trio. My prostrations at the Feet of Maharaj. It is so heartwarming to hear from Maharaj again! Thanks to Sri Ramakrishna the physical distance between Singapore and South Africa can be bridged to a large extent through technology. However, I still await Sri Ramakrishna’s miraculous Hand in filling the void left here when Maharaj uttered the final Durga Durga in Durban. Maharaj’s pilgimage to the various places must have been rewarding and these places are further enriched by Maharaj’s visit. I consider my visits to Maharaj’s blog my very own pilgrimage and now that Maharaj is blogging again, this holy site will be even more appealing. The Singapore congregation is truly blessed and I can’t help but feel a twinge of envy. Thanks for your appreciative words! Yes it is true that when you read some writings on the pilgrimage tour, you tend to feel one with the feelings of the author. That gives almost a satisfaction that you have also visited the place. I do not know whether my writings can evoke and inspire the readers to that extent. But you are one of those close readers who always, because of your inherent goodness, appreciate out of your deep devotion to all monks! Hope you have been revitalised and rejuvenated by your pilgramage to all the Power Houses of Thakur. May HE grant you the strength to continue your journey to the source! What a beautiful comment from you, dear Dr Rana! The physical pilgrimage touching many places in this Universe is only an attempt to place our minds on God and His glory. The actual journey is within. Your prayer will definitely stand by my side. It is such a divine bliss to read your blog. There is a proverb in Hindi “Sitar ke tar tut jati par gunj rah jati hai”, which means that the Sitar`s string might be broken but the beautiful melody still keeps lingering. Though your new posts were missing but I kept getting inspiration from the old ones. We are all happy and rejoice in reading your new divine blog. “Durga Durga” is so much ingrained in our lives from early childhood. It was a pleasant surprise to see you mentioned about it. What a poetic comment yours is! “Sitar`s string might be broken but the beautiful melody still keeps lingering” is a beautiful concept. This reminds me of Master Sri Ramakrishna‘s teachings about pilgrimage. He says that one should be like a cow. After grazing on the fields she goes and settles in one spot and goes on munching the grass that she has eaten. After pilgrimage a devotee has to “munch” his experiences once he returns to his place. Thats how the vibrations that shook one can be continued to his spiritual benefit. I am so happy at the resumption of your blog again and that you are safe and joyful in your new abode! I look forward to reading your spiritual insights. May the Divine Mother ever keep us in your prayers. We miss you. Jai Sri Krishna! Is there any chance that you would come to Singapore on your professional coaching? Then please try to visit our ashram here. It was with great delight that a few devotees and I read the blog together, and the priceless moments spent with Revered Swamijee came flooding back. Many devotees from SA are really missing Swamijee’s discourses, Swamijee’s presence and most of all Swamijee’s Spiritual warmth and guidance. The wonderful message of tolerance, love, compassion and kindness for all living beings will always remain with us ….Swamijee taught us what He Himself practiced! Our journey from 2007-2015 with our Most Revered Swamijee will remain etched in our hearts! Thanks for your hearty sentiments towards me! The nearly eight years or technically speaking “7 years-7 months-7 days” as President of RKC SA there had given me wonderful experiences of love, honour and respects. The devotees were willing to go a mile ahead in taking care of me. This is a rarity and hence these will be etched in my memory for long. The modern world is considered as a global ‘village’ and hence we would be able to meet anywhere else too. Whenever you all devotees plan outings to other countries please visit Singapore also. The lion city welcomes everyone of you! You all know that the lion is the vaahan (transport) for Sri Ma Durga. When I said “Durga Durga” in SA Her vaahan lion was ready here to welcome me! What joy to see your blog again! And what a joy to get your response! Would love to read your blog! As you might have observed that this is a diary where my “personal” thoughts and experiences I write for “public” consumption! Many have, of late started realising that e-Satsang is a possibility. Hence we in the comments section discuss many aspects of spirituality. Vannakum .. Sooo excited to see this message this morning. Thank you to our Dear Master and Mother for keeping you safe. My prayer is that Guruji impact on the devotees in Singapore as Swamiji did in South Africa. May Swamiji be blessed always. Much Love. Yes, its Master and Mother’s grace that I am keeping well. A very tall order indeed from you!! Who can compete with or copy Swami Vivekananda? We are not even fit to be His dust on His holy feet. Sri Ramakrishna would say that Naren, a young college student, unknown to the world, was a thousand petal lotus while the most sought after orator and who shook the young Bengal at that time, Keshab Sen, was merely a sixteen petal lotus! Well pray for me to Swamiji that I am able to do what he has commanded for us! We, in South Africa sorely miss Swamiji‘s characteristic utterances “Durga, Durga” upon departure from any destination. Swamiji never failed to leave a lasting impression at every place he visited here in SA and I am certain that devotees in Singapore will soon come to agree with me on that! Thanks Rohit for your well meaning words! While responding to you at this hour a flood of nostalgia is engulfing me – the thoughts of Estcourt devotees! Oh! Indeed a place like that I am yet to see! In that sleepy town what and how the devotees were so genuine and not a single one I found snobbish! And to that small town people all programmes were so big! More than that the love, affection and sincere hearty feelings I can never forget. Well, Rohit, I still do not know about Singapore devotees. Slowly and slowly only I can come to know of them. But then Master’s devotees – wherever we meet – are always a good holy company! It is great to hear from you after your pilgrmiage, Swamiji. Your teaching of “Durga Durga” before leaving home is practised in our home every day. Please continue guiding us as many people follow your blog. All your teachings remain valid in our daily life. Yes its true that more and more people are drawn to my Blog as I see the statistics in the back-end screen. Well, if this humble seva of e-satsang in any way nourishes the Godly thoughts in all of us, I would feel very happy. It is indeed pleasing to receive maharaj‘s blog again, as it helps keep South Africa connected, despite being in the bottom end of the world 😊. Once again, it has been such a privilege and blessing to have had maharaj in South Africa and I wish this could have been everlasting! Thank you for maintaining the contact with us, despite your busy schedule and especially still afford us the opportunity to receive and learn spirituality from you. Thanks for your cherishable words! Though I have left South African shores, the distance is not a deterrent in communication. Thanks to modern technology, I feel happy to watch how this blog is being read in far away countries, some of which I didn’t even know they existed! Well, whoever reads do not necessarily respond in the Comments section. What is well known is now the space is shrunk we shall realise the ancient maxim of our forefathers that “vasudaiva kutumbakam” – World is one family! It is wonderful to hear that Maharaj has reached Singapore safely. The people of that great city are indeed blessed to have Maharaj among them. Of course, in Durban we do find that Maharaj‘s depature from this centre has left an, as yet unfulfilled, space in our hearts. Thus, it is fortunate to have this blog, and we look forward to Maharaj‘s posts. Thanks for your wise words Ajiv! The feelings that you have echoed are indeed sincerely yours and also a reflection of what other such devotees say. The best way to fill our hearts is to practice what Gita teaches. Try to keep your mind always on Him. Hope your stay in Singapore is excellent. Thanks for your well-intentioned hope!